Kings Island announced that it would open Banshee, an all new inverted coaster in 2014. However, on September 17th marked the day that construction began on another attraction. This attraction has given more rides in the park than any other ride in the park’s history. It’s fitting that while we get ready to celebrate the opening of a new coaster, we look back on the classic Racer. On this day, construction began on the twin coasters that would change the park. The Racer has given over 98 million rides since opening day in 1972, including a famous ride to The Brady Bunch during their classic episode to the park. The coaster was designed by legendary designer John Allen from the Philadelphia Toboggan Company, after he went into retirement. It took 113 miles of lumber, 6,000 gallons of paint, and literal tons of nails to complete the legendary racing coaster. 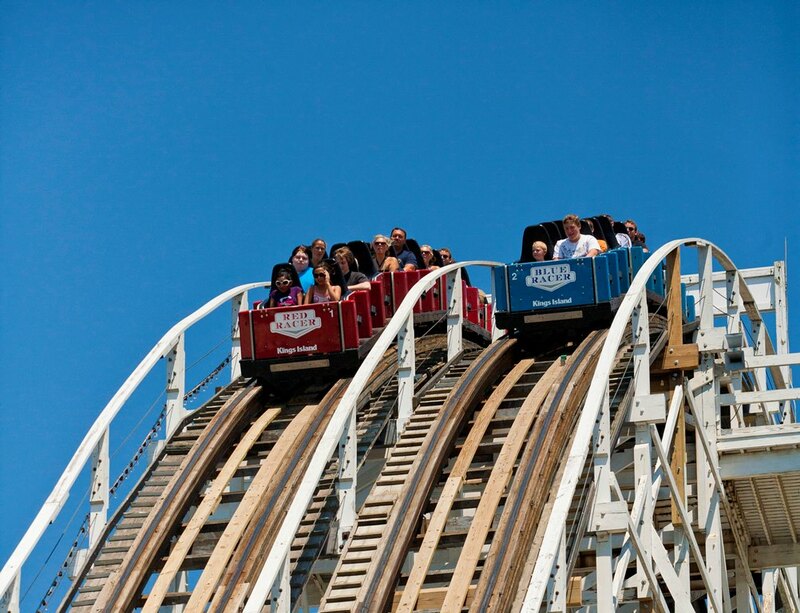 It’s credited with bringing roller coasters back into popularity after a huge decline for decades. Many coasters around the country imitated it’s unique, racing out and back coasters. In 1982 Kings Island too the right side of the track and turned it backwards, becoming the first coaster in the world to do that. It was supposed to be a limited time feature that lasted 28 years. In 2008 the coaster was restored to it’s original form and the rear facing coaster once again faces forward. As 2014 approaches, the park is readying yet another coaster that will be the longest and fastest of it’s kind. Will Banshee captivate the world like The Racer did? Can we expect a TV show to be based around the coaster? One can only hope. 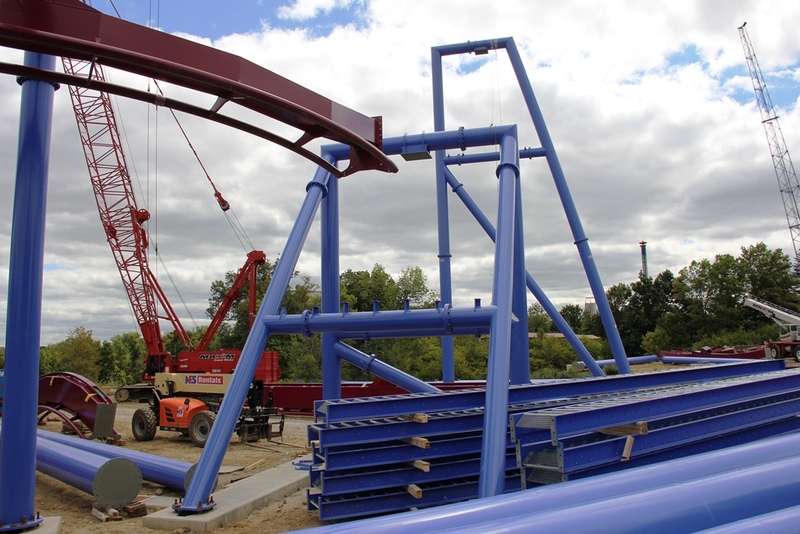 Banshee opens in 2014 at Kings Island in Ohio. Be sure to follow along with us on Twitter @BehindThrills for the latest updates. For more information about Kings Island, Banshee and The Racer, visit the official website by clicking here!